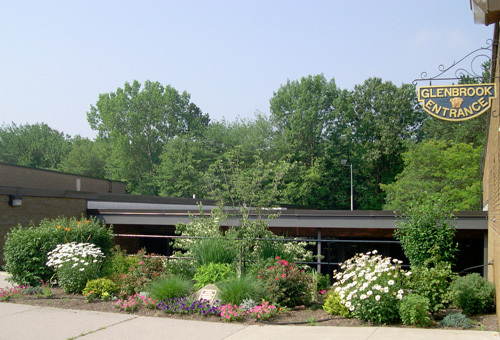 The Longmeadow Select Board met on January 24 to approve the updated MSBA "statements of interest" for the Glenbrook and Williams Middle Schools. These documents presented by the School Committee and the School Superintendent contained such a large number of factual errors that Ms. Swanson and Mr. Gold refused to approve the documents. It is interesting to watch this discussion where the school superintendent and SC chairman tried to push through a poorly prepared document at a time when our town cannot afford to build new or significantly renovate these schools. I attended the “emergency” SB meeting on January 25 to see if the SOI’s for renovating/ replacing the two middle schools in town would be approved in time for the Wednesday, January 26 deadline at 5 PM. There was a fairly sizable crowd- most of which were School Committee members and School Dept staff. Interestingly enough Ms. Swanson was not in attendance. Given her stance on Monday night, perhaps she didn’t want to be seen as voting no for a school project. This emergency meeting was called in an attempt to present two “accurate” SOIs to the SB for their approval. The school superintendent spent almost 25 minutes outlining all of the corrections that needed to be made in the SOIs- some of which were to correct some pretty sizable errors in the original document. Additional corrections were added during the discussion. Where was the due diligence by the SS and her staff for such an important document? "Replacement or renovation of a building which is structurally unsound or otherwise in a condition seriously jeopardizing the health and safety of school children where no alternative exists." the School Committee is obviously looking to get a high priority status. It is also possible that the "errors" in the latest SOIs, many of which were related to capital improvements made to each school over the past 4 years, were deliberate oversights since it made the story more convincing. An attempt to discuss the question of affordability raised by Mark Gold was quickly extinguished by Rob Aseltine. Mr Aseltine did comment that he thought the town was not going to be able to afford significant renovations or a new facility any time soon but that this question would be discussed at a future date. However, the game plan is the same…. submit the SOI…. Wait for the MSBA to give the green light and then start the school building process all over again. The Lancer Pride group has strong membership and can probably repeat their success once again. Concerned Longmeadow citizens need to wake up. This quote is adapted from a famous Presidential speech to be used in a future speech by Armand Wray (or the next SC chair) in 2011 about the new Glenbrook/ Williams Middle School building projects. I’m sure that the Longmeadow School Committee (or a future School Building Committee) will be able to point out a crumbling wall or two (like the crack in the northwest corner of LHS) that will convince Ms. Craven and the MSBA of the need to build two (or one larger) new middle school(s) in Longmeadow. Last night’s SB meeting was evidence to the agenda of the Longmeadow School Committee and certain members of the Select Board. If you didn’t watch last night’s discussion regarding the MSBA “statements of interest” (SOIs) for our middle schools, you should take 30 minutes at 7 PM tonight to watch the rebroadcast. I understand the first 10 minutes of the discussion (which were not broadcast last night due to technical problems) will also be aired tonight. otherwise in a condition seriously jeopardizing the health and safety of school children where no alternative exists. Elimination of existing severe overcrowding. It may sound like the health and well being of our middle school children and teachers are being jeopardized, but according to the SC + superintendent comments, this language is necessary (even if untrue) in the SOI in order to get a high project priority!! Last night was supposed to be a simple SC/SB joint meeting for the SB to approve the SOI’s which are due January 26 at 5 PM. Comments by Swanson and Gold pointed out a large number of factual errors (not minor) and both SB members appear to be unwilling to sign an official town document containing such errors. It turns out that the MSBA notified the School Superintendent last June that Longmeadow’s SOIs needed to be updated. The deadline is about to pass with some lame excuse that the MSBA system has changed and that is why the documents are being submitted at the last minute. There was not a satisfactory explanation as to why the SOIs were not accurate. The SB agreed to continue their joint meeting tonight at 6 PM in an effort to resolve the errors and be able to submit an accurate SOI before the deadline passes. It will be interesting to see what happens. BTW… the meeting is not being videotaped so you will need to attend the meeting at 6 PM at the Police Dept Community Room if you want to view the proceedings.